It's relatively rare that only half of the year has passed by and you already know that a track you hear is going to be in the top releases of the year. 'Whatever, Whatever' by the power trio Mako, Villem and Fields is one of those tunes. It's a very well composed mix of liquid vibes and old school jump up with a slice of some good old jungle music. The great thing about this track is that it will fit almost any situation. It works well on air, it works well in a bar and it works even better in a fully booked night club. We've seen this tune make people go crazy on the dancefloor. And it's no surprise. Once the bass kicks in, not only will jaws drop, but the well crafted breaks will also get the listener completely lost in the music. 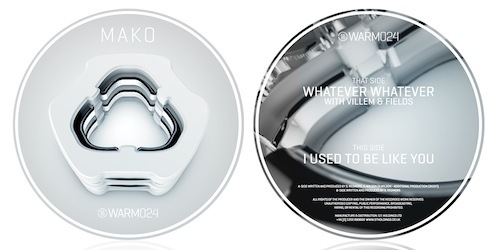 What makes this release even better, is that there is a great flipside to compliment the A side, "I Used To Be Like You" by Mako. The tune is more stripped and less hectic than "Whatever, Whatever", but still has some power to it. The atmosphere is quite smoky and even a bit melancholic, and there's some really great work with the detailed atmospherics and sound effects. From this release the flipside here might be the one that endures more listening than the A-side, but so far "Whatever, Whatever" is definitely one of the biggest tracks for us this year. Definitely a buy on sight release from the Texas-based label Warm Communications. Available both on vinyl and in digital formats. One funny thing about drum'n'bass is the fact that you can use nice words such as "disgusting" to describe a track in a positive way. "Disgusting" is exactly the first word that comes to mind about Chris Octane's first solo release on his own label CO Recordings. Smartest of you readers might have already figured out that Chris is one half of the drum'n'bass duo Octane & DLR, who released an album called "Method in the Madness" last year, and also have a nice back catalogue of singles on various labels, most of them on Dispatch Recordings. After the album the duo made an artistic decision to part ways and go solo, and now here we have an example what Octane is able to do when he's in the studio by himself. The technical production values and attention paid to small details are high, which shouldn't come as a surprise. Synthetics is disgusting. It's filthy. It's a dirty and massive piece of modern techstep with a steppy beat, slick and tricky edits and fills, and a huge bass, which will cause some nasty bassfaces. Guaranteed to destroy a dancefloor. In a good way, of course. The flipside "Gaia's Dub" on the other hand is completely different, and in my opinion the more interesting track on this release. It reminds me of one of my favourite producers ever, Tipper, and his glitch hop stuff. It's bass heavy, but once again has all these tiny details in the sound design department, and really has some depth in the sound and is definitely not an in-your-face track like Synthetics. The single is out today on monday the 6th of May. There will be more releases lined up for the label later this year, and also some collaborations. I'm definitely going to keep my eyes and ears open for what Octane has to offer us in the future. This release is definitely a good start. 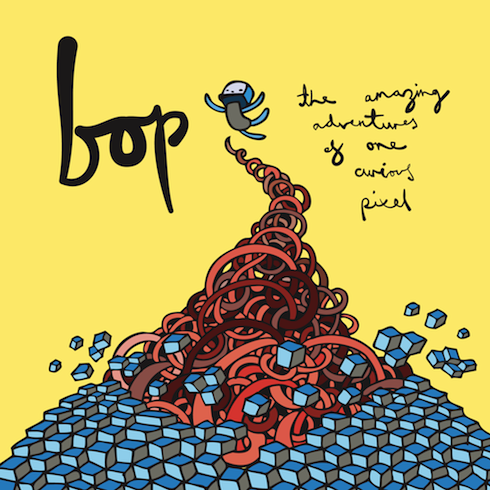 Here's a brand new album from MJAZZ, a label that has been around "for a while". As the name suggests, the album is about the golden era of drum'n'bass, but with a modern approach. Some tunes in this album are actually from 90's, but many of the tracks are brand new and written specifically for this LP project, but with mid 90's drum'n'bass in mind. The album contains tunes from the label boss Justice, and also from guys like Metro, Cuelock, Jason Os, Paranoid Society and many more, and you can check the clips from the soundcloud player below. The CD album is limited to 50 pieces only, with each CD and sleeve hand sprayed and finished with unique artwork, and the package also contains the arrow stencil used in production of CD and stickers. Get your copy from Surus before it's sold out. And obviously you can get the digital audio files from any good shops. While listening to the clips, check out Justice's interview with Organic and an album review by everyday junglist. 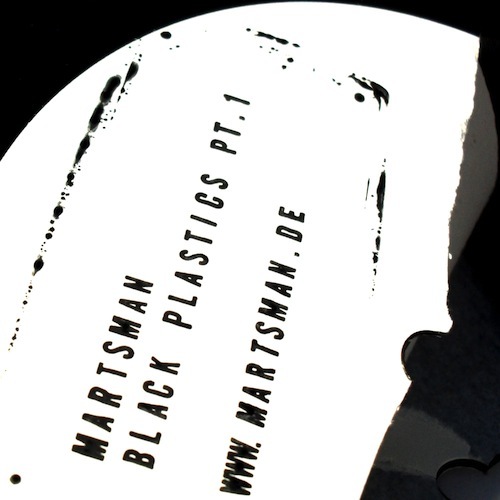 Here's the 2nd installment of Black Plastics ep series of previously unreleased tunes by ze german bleepmeister herr Martsman. Check it out. Make sure you check out the first part too if you haven't yet. You can get the tunes with 4 euros, but if you are a good person you can pay more than that too if you want to. Martsman - Black Plastics pt. 1 Out now! About a month ago I wrote a post about Martsman's plans to release some previously unreleased tracks his bandcamp site . The first batch is now (or actually since monday) available for purchase and while listening to the tunes you can also check out an interview he did with kmag couple of weeks ago. The next parts of the series will be released in September and October, and there may be even more after that. I recently made a mixtape for Hustle Audio podcast to promote the release of a four track EP by me and Infader which will be released on the same label on 23rd of July. The mix itself is quite different from the ones I've been making for our podcast, as I wanted to make a bit darker, heavier and more energetic mix. There are some fresh bits I've been feeling lately and some old favourites of mine. And some tunes from myself as well. File under: Techstep / Neurofunk. Listen to the mix and the clips of the ep from the players below, and click read more to check the full tracklist. 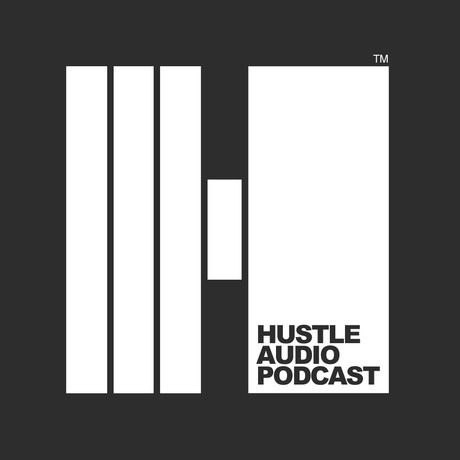 Check out the previous podcast episodes on Hustle Audio's podomatic site or iTunes. 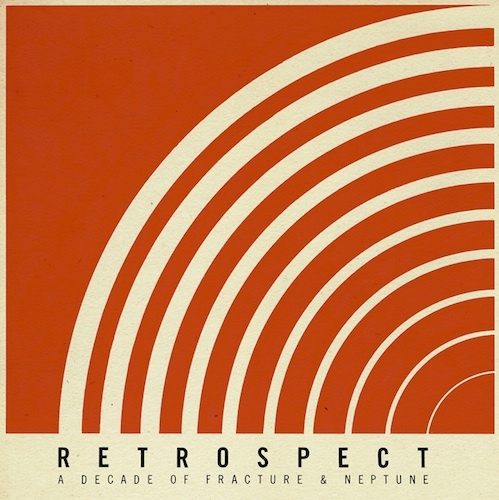 Fracture and Neptune have been working on their sound for 11 years now, and to celebrate that they have compiled a retrospective album to showcase what they have been doing together. It's a 18 track digital album with all the tunes digitally remastered by Bob Macc and contains some classic F&N tracks like Too Doggone Funky, Colemanism and their first release, Deadlands as well as some previously unreleased and some brand new beats. Release date end of May 2011 with a limited edition sampler 12" with hand printed and individually numbered artwork. This LP is must buy. Seriously. Esc just recently made a guest mix for our podcast. Now a Canadian label In Da Jungle released his first single, "Lost and Found" with a remix from Mineral on the side. The original track, which we already heard in his mix, is a rather deep and chilled track with a subtle drum programming, I kind of feel tempted to say minimal but I refuse to use that word. In the remix Mineral has taken a darker and more energetic route. With a growling bassline, a boymerang breakbeat and scifi synths the remix almost sounds like early Teebee releases. That's not exactly a bad thing. You can check the tunes from the Soundcloud players below or from Juno Download where you can also buy the release.